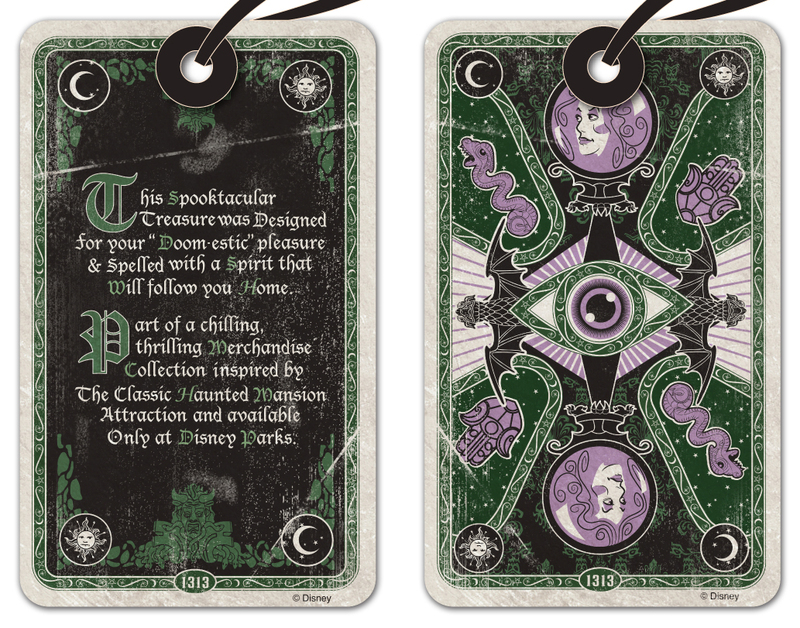 Last year I was quite fortunate to design a home line for the Haunted Mansion. My manager on the project was Cody Reynolds and we worked together to come up with ideas for different products and the directions I should take with the art. I love anything that feels immersive, and wanted to create as authentic of an experience as possible. We got to tour the Mansion early one morning before the Magic Kingdom opened and take endless pictures. 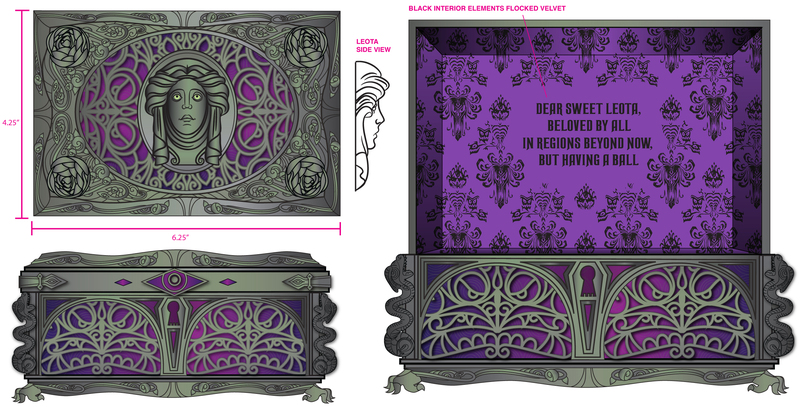 I did my best to smash in as many small details as possible, everything from grates to doorknobs. 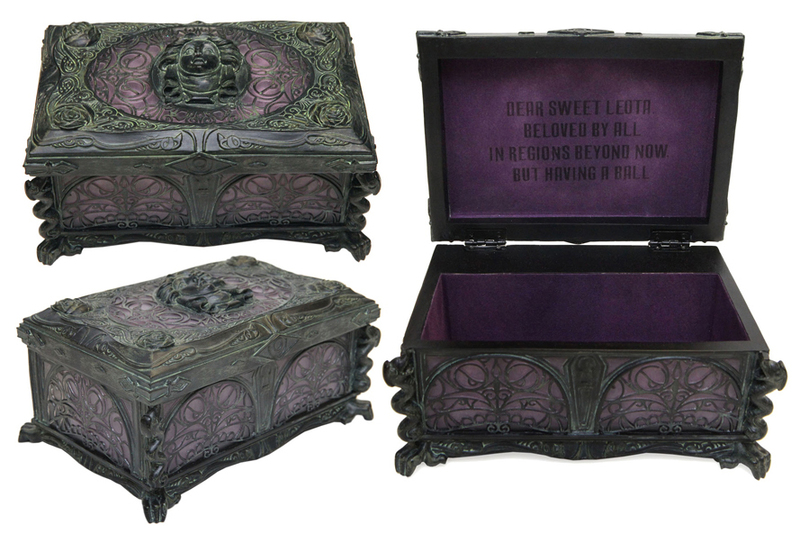 The jewelry box above I wanted to have a bit of a turn of the century vibe, something Madame Leota could have theoretically owned. It is my favorite piece of the collection, and by far took the longest to create. The candelabra was a lot of fun. 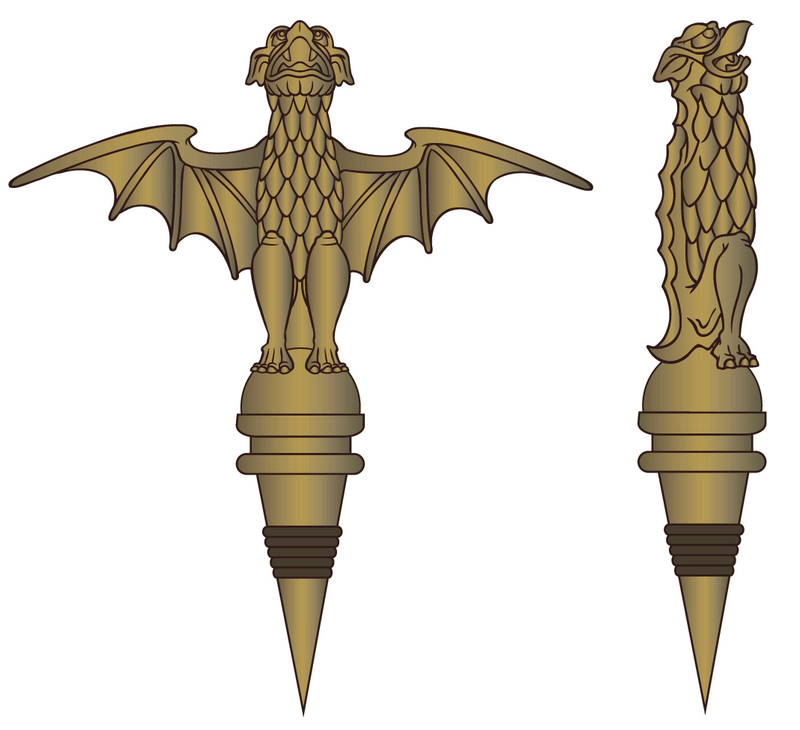 I utilized the gargoyle in the stretching room as well as details from the paneling in the queue area. The intended finish for all the pieces was going to be more of a black/grey stone feel, but I pushed for the green patina because it was more authentic. I’m thrilled with how it turned out. 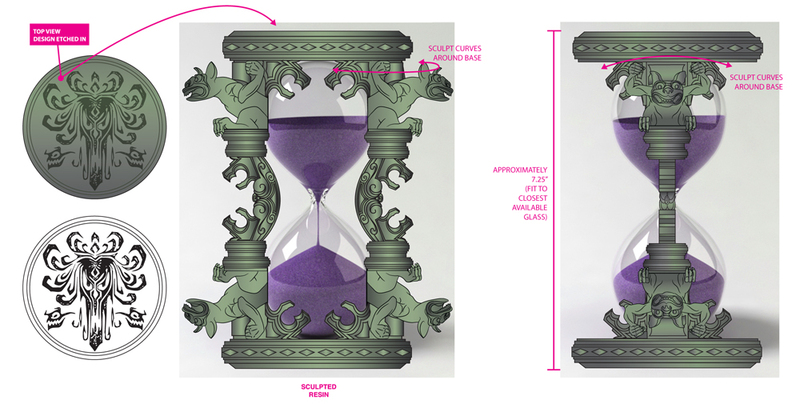 The hourglass was one of Cody’s original ideas. 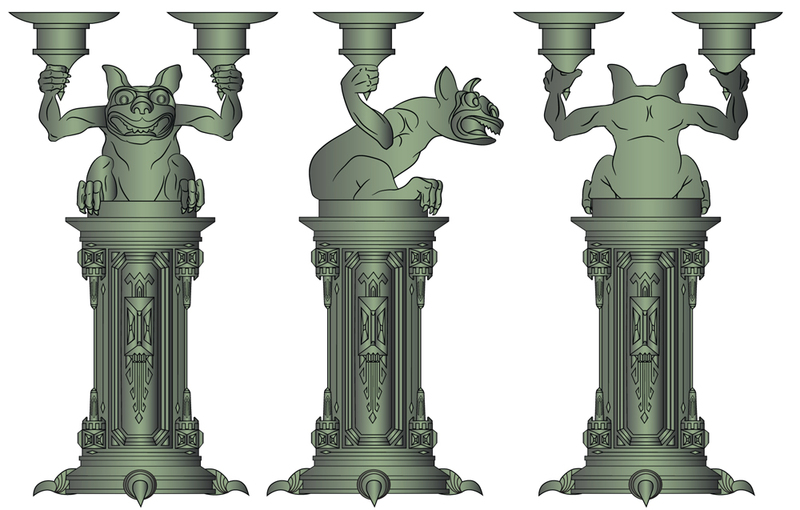 I looked at many hourglasses for inspiration, and decided to bring back the gargoyle’s again along with some subtle mansion details from interior columns. 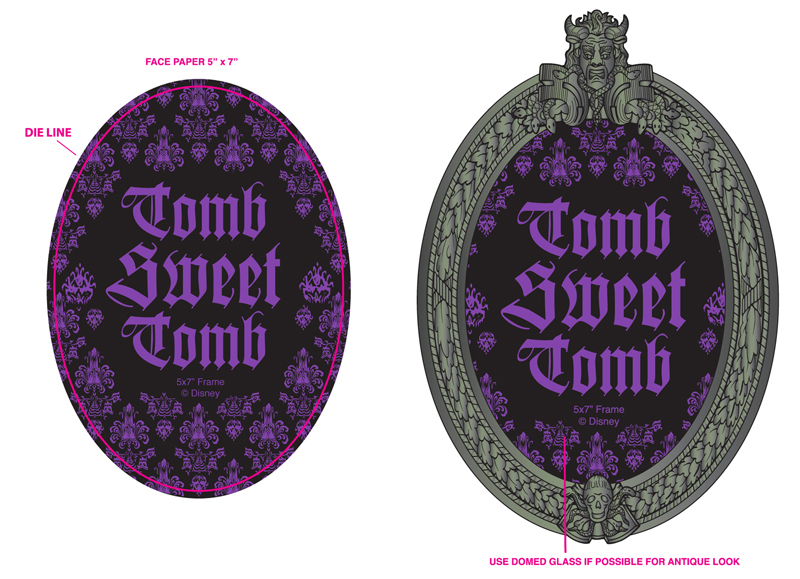 The frame was a pretty basic idea, recreating the attraction signage. We wanted to include a domed glass for a Victorian feel, but that, unfortunately, did not come to pass. The hang tag was one of my favorite tasks in the collection. 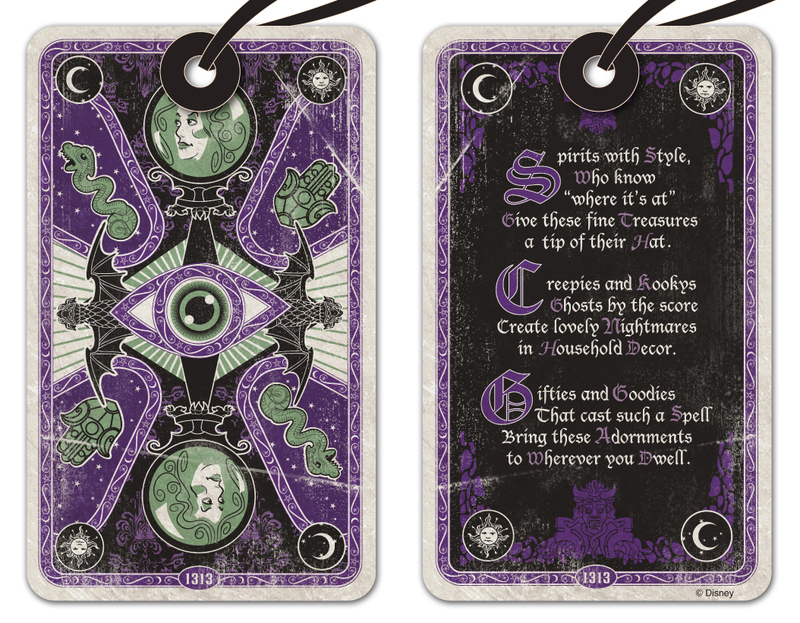 Originally they were supposed to be much simpler, but I saw the potential to make a really cool statement with the tarot theme so I went a bit nuts with them. In addition to what you see here, there may or may not be an unreleased pictorial front side depicting the classic “fortune” tarot card. Awesome! Where/when can we order? The rumor is they will be on Disney Store’s website in the future, I’ll tweet/post as soon as they are. Oh congratulations! As a self-proclaimed Disneyophile… You nailed it! Love the box! 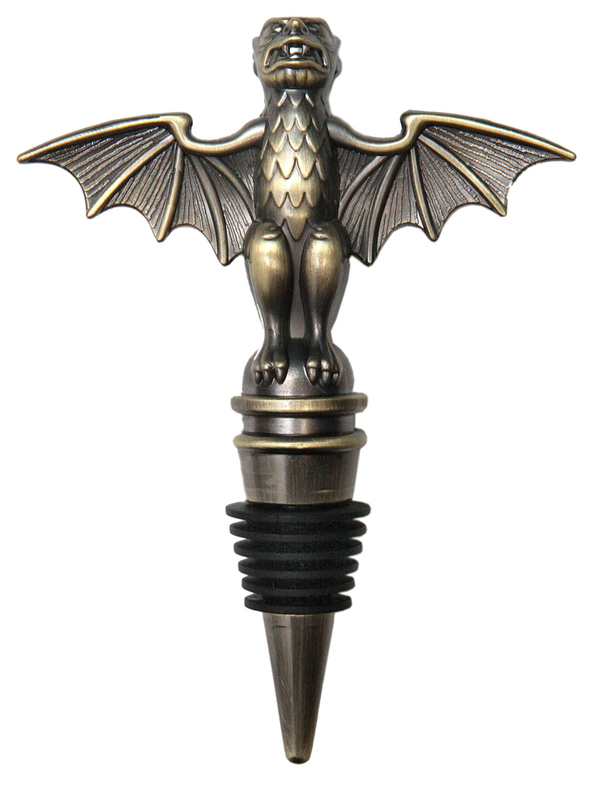 Love the stanchion bottle stopper! Love it all! Are these items available for sale?? 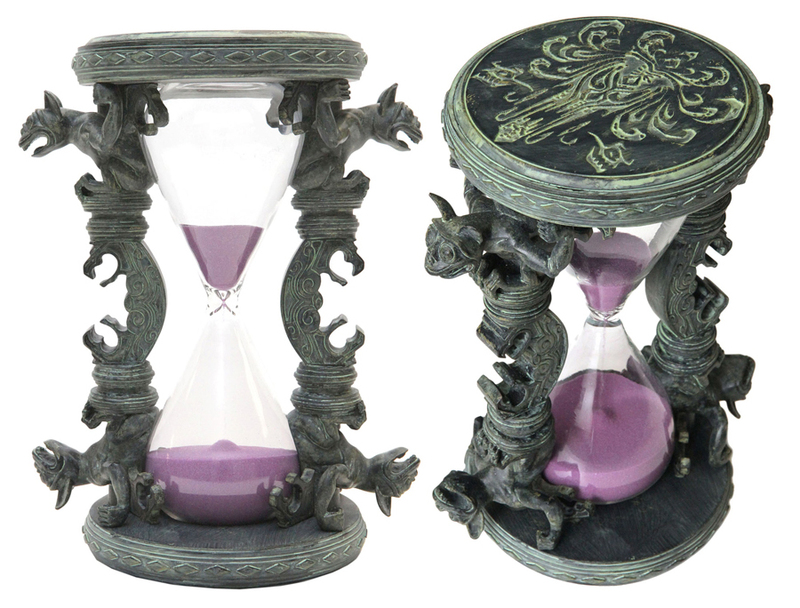 The Hourglass, Frame, and Coasters are for sale in Disney World/Land currently. The rest will be unveiled over the next couple of months. 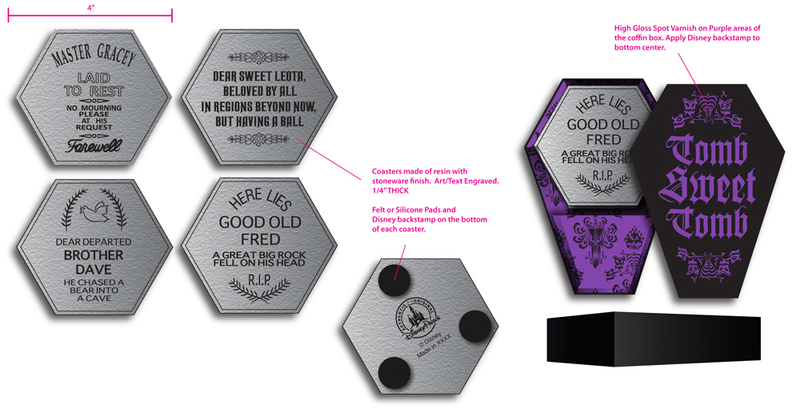 I have heard that they may be available on the Disney store’s website in the future. I ordered directly from Walt Disney World Merchandising. I have the picture frame, the throw and the coaster set. They have sold out of the hourglass and the candelabras. They said they would be in again in the future. My throw had to ship from Disneyland rather than Florida. All items are *awesome*, btw! I had not thought of that, it’s a great idea! You are a brilliant artist! Thank you for sharing your incredible talents with the world! Awesome design work. You really captured the “spirit” of the ride 🙂 Cheers! 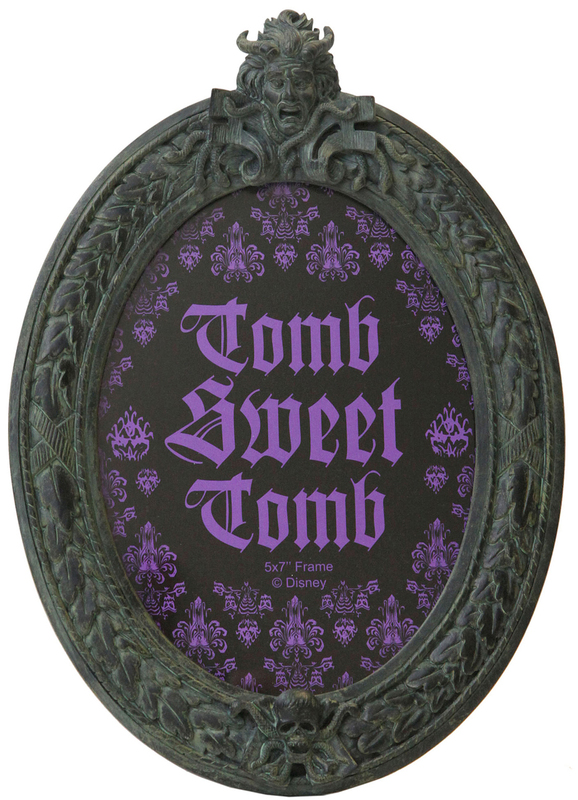 As a collector of all things Disneyland Haunted Mansion, I absolutely love all these new items. 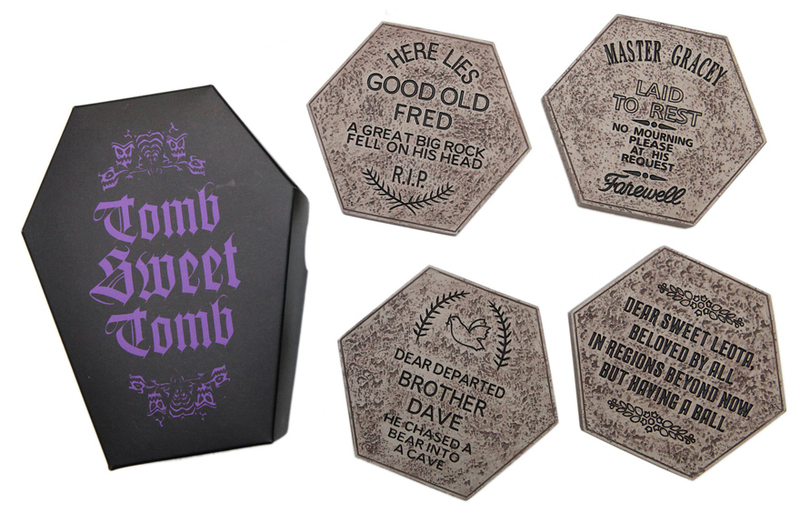 There haven’t been any new items for the HM collectors in a long time, but these are just over the top great. 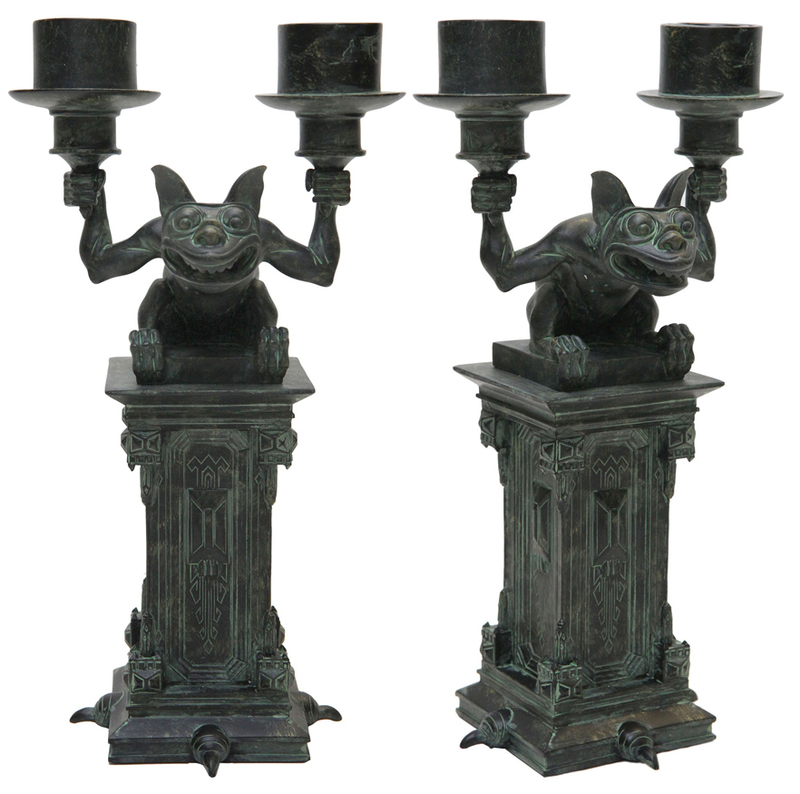 I also got the candelabra’s from the DelievEARS. I live close to Disneyland and keep checking for the coasters. I have the throw, hour glass and frame. You are an incredible artist, THANK YOU for your talent to create memories.